WASHINGTON HEIGHTS Police are searching for a man who was last seen leaving his Washington Heights home last week. 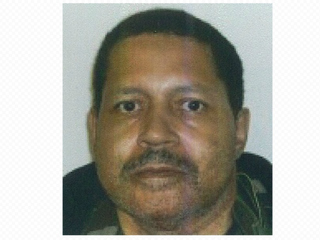 Gregory Flood, 58, is described as 5-foot-9 tall and weighs approximately 210 lbs. He is African-American and has a mustache. Flood was last seen at approximately 7 a.m., Friday, Feb. 10, when leaving his home on West 162nd Street. 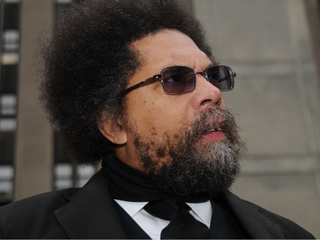 MANHATTAN CRIMINAL COURT Activist Cornel West and about than two-dozen opponents of the NYPD’s controversial stop and frisk policy will be showing strength in numbers at a criminal trial expected to begin in April. At a Manhattan Criminal Court hearing Thursday, West refused to take a conditional dismissal offer for disorderly conduct charges. The renowned Princeton University professor and activist, had been among a group of 200 demonstrators opposing the policy who gathered in front of the state building on 125th Street in Harlem on Oct. 21, 2011. About 34 were arrested. Critics charge that stop and frisk, which allows police to search people who they believe are involved in crimes, unfairly targets members of minority communities and is a clear violation of the civil rights of people who are searched. Guetty Felin, Haiti/France/US, 2012, 61 min. The oldest neighborhood of the city of Port-au-Prince, Haiti, Quartier Cathédrale (Catheral Quarter) was the most devastated sector in the city, it is also where the bulk of the documentary Broken Stones was shot. With its erected columns and open air, the ruins of the cathedral resembles an amphitheater where the daily realities of Haitian life unfolds. Amidst the vestige of what was once the most beautiful cathedrals in the entire Caribbean, children play, women pray, some carry pails and jugs of water from the nearby tap, a white man dressed in black hooded priest garb appears out of nowhere, followed by a cameraman, foreign missionaries snap pictures as they pray for lost souls in a house of worship, men and women roam almost aimlessly in this post-apocalyptic decor…These images are amongst the impressionist moments interwoven into the narrative fabric of this captivating documentary. Panel discussion with the filmmaker and guest panelists will follow the screening. Born in Port-au-Prince, Haiti and raised in New York, Guetty Felin is an award-winning, independent filmmaker, teacher and film curator. Celebrate this seminal work from the American literary canon with live theater, conversations and more this season from The Greene Space. I, Too, Sing America: Langston And Zora’s Unsung Collaboration Host Terrance McKnight explores the music of the era through the lens of Langston Hughes and his close and controversial relationship with Zora Neale Hurston. Starring Brandon Dirdon, Phylicia Rashad, Roslyn Ruff, Leslie Uggams and others. Radio drama adapted by Arthur Yorinks. Mix and mingle and enjoy readings from Their Eyes Were Watching God by poet and actor Carl Hancock Rux. A conversation with Alice Walker, Sonia Sanchez and Ruby Dee, moderated by Zora Neale Hurston’s niece, Lucy Anne Hurston. (Stocktown X South Africa– Dir. Teddy Goitom and Benjamin Taft) Please save the date. The 19th New York African Film Festival will commence in April 2012, with a dynamic presentations of films and live performances. 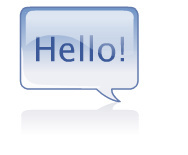 More information will be available in the coming weeks. Stared opposite tap dancing legend Bill ‘Bojangles’ Robinson.